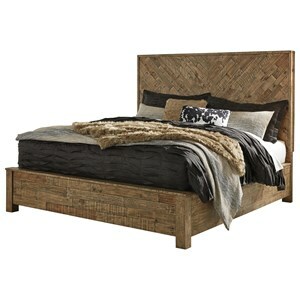 This panel bed, blending contemporary and rustic styles, will be a sleek addition to your bedroom. 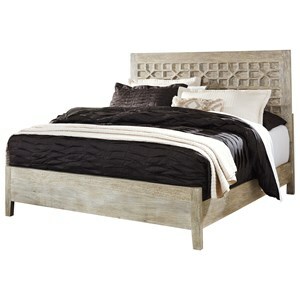 The bed features clean lines, distressed finishing and a grooved panel headboard. 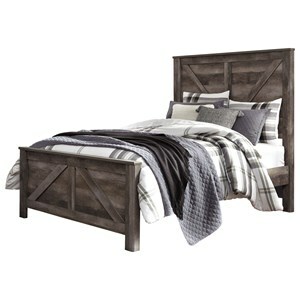 Pair with the storage pieces from this collection for a stylish and functional matching bed room group. The Belmont Queen Headboard and Footboard Panel Bed by Crown Mark at Household Furniture in the El Paso & Horizon City, TX area. Product availability may vary. Contact us for the most current availability on this product. 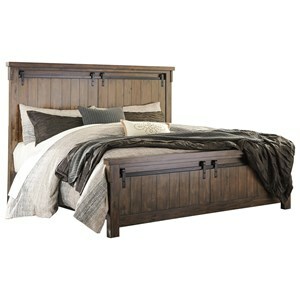 B3100-KQ-RAIL King/Queen Rail 1 81" 0.8" 7"
B3100-Q-HBFB-WD Queen Wood Panel Hb/Fb 1 63" 1.4" 54"
This collection of bedroom furniture fuses contemporary and rustic design styles. 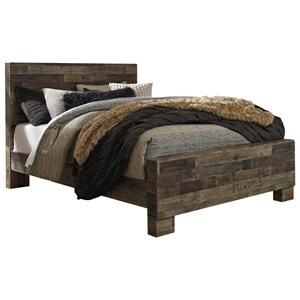 Clean lines, flat faces, and crisp corners contribute to a minimalist design while a distressed finish and metal accents add primitive character to the collection. 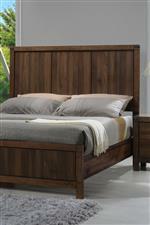 The bed is available with either an upholstered or wooden panel. 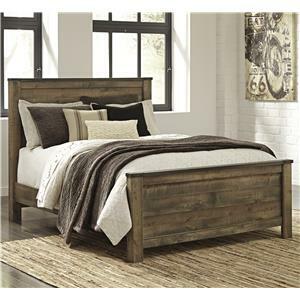 The Belmont collection is a great option if you are looking for Rustic Contemporary furniture in the El Paso & Horizon City, TX area. 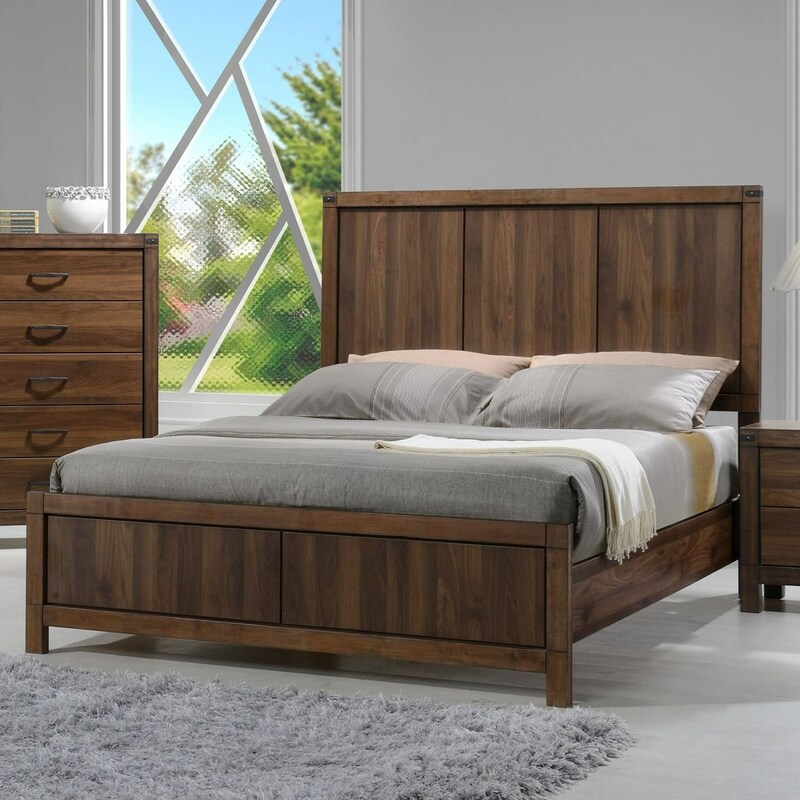 Browse other items in the Belmont collection from Household Furniture in the El Paso & Horizon City, TX area.